“There is almost a sensual longing for communion with others who have a large vision. The immense fulfillment of the friendship between those engaged in furthering the evolution of consciousness has a quality impossible to describe.” – Pierre Teilhard de Chardin. Hurricane warning has been on for Hawaii! Here on Kauai, schools and businesses were closed, gas stations out of gas, and there were lines everywhere for food and water. I am thinking, oh no, no salsa dancing tomorrow! 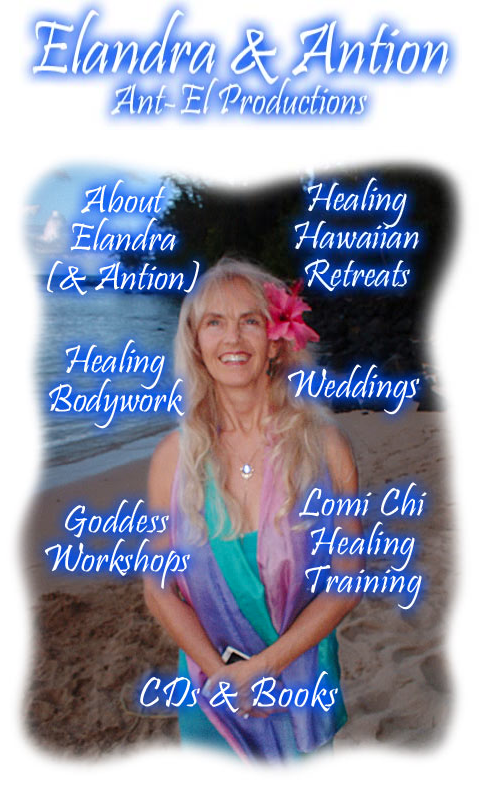 But I enjoy that my mind is full on remembering the stories of hurricane Iniki that devastated Kauai, how some sat inside a yurt in a circle and meditated and the candles did not even flicker…and how there are so many stories of miracles due to meditation and prayer. So with “WOW! Worlds Of Wisdom” & “WOW! World Of Within”, and “Wise One Within”, we are “Wielding Our Wizardry”… all with sacred living, visions, journeys, trainings for a New Civilization. I think of this every day all the time… as I envision a world where true wisdom, honoring nature with minimum footprint and minimum accumulation of stuff have become the most valued; a world of human beings who choose and value personal purification of character above the multiplication of wants, who are living as spiritual beings in full remembrance of their power of love; a world where the power of love has transcended the love of power. A world of collaboration with Nature and each other, where in communion with a community of dozens and millions we can all feel fully supported in living joyously, while supporting everyone to empower themselves to do the same. In a month we will be in NZ for a few weeks, and then onto Chiang Mai Thailand for October and November. As always, inviting you to join us!